A Short Primer: How and Why Real Estate Appreciates. It may surprise you to know that “real estate” is the land; the actual dirt under your feet. Houses are referred to as “improvements” on the land, and in fact depreciate over time with use and aging infrastructure. Kind of like a car. Unlike a car though, houses can be improved, renewed or even rebuild, but then they begin to depreciate again. Only the land increases or decreases in value. The natural economic state of real estate is stable. It doesn’t necessarily appreciate. (!!!) Further, it will only appreciate when the there are at least a few more buyers than sellers, and only if and when local market conditions align to create that condition. Every local real estate market throughout the country is influenced first by past and current events and circumstances in that local market. The national economic tide will affect a local market, but local real estate markets are a product of local conditions first, and are not perfect reflections of the national real estate market average. Said another way, the depth of the national housing picture, good or bad, is not the situation in every market in the nation. Note: While the national economy is only one of the factors which influence a local market, there is no doubt that the current national and global economic situation is impacting the Boulder area housing market. But the fundamental strength of this area real estate market has acted to greatly buffer us from the possible effects seen in many markets throughout the county. What Drives a Local Market’s Housing Prices Higher. Accumulated purchasing power: buyers with money to spend. That occurs when housing values are stable (flat) for a number of years during which time incomes rise at a rate of as little as a couple of a percent above inflation. A low vacancy rate in rental housing. All of this will not move a housing market without the catalyst ingredient: people moving into the area or incoming migration. When these factors all fall into place after several years of market and price stability, the price of housing is suddenly a bargain. The once stable market starts to accelerate because there isn’t enough housing inventory for the new buyers coming into the market. Critical to the strength and potency of the resulting rise in prices is how limited or not the available stock of housing is. On the wide open flatlands of middle-America for instance, there is practically no limit to how much new housing can be built to take-up the excess of buyers. The result then is modest appreciation of prices before the market runs its natural course and returns to balance (stability) again. However, if the ability to add housing is restricted by geographic and/or regulatory reasons, the effect will be a steeper rise in housing prices. 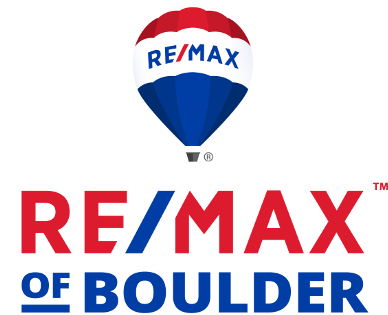 (Both these factors are in play in the Boulder Area real estate market.) The market will continue to appreciate as long as the favorable conditions exist. Then at some point it will stabilize and return to a balance when buyers have soaked up all the houses they can and demand falls off, or other elements of the market shift to alter the equation. The most volatile markets (like the San Francisco area, constricted by mountains and the bay) can accelerate so quickly they overshoot the natural equilibrium point. The return to balance is a bumpy affair with an incremental fall-back in prices as the market seeks a new point of price stability.